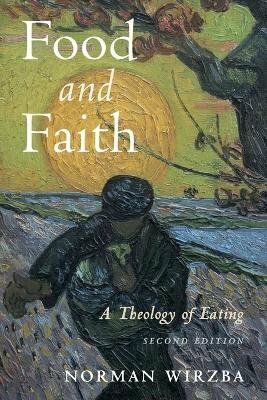 This book provides a comprehensive theological framework for assessing the significance of eating. Drawing on diverse theological, philosophical, and anthropological insights, it offers fresh ways to evaluate food production and consumption practices as they are being worked out in today's industrial food economy. Unlike books that focus primarily on vegetarianism and hunger-related concerns, this book broadens the scope of consideration to include the sacramental character of eating, the deep significance of hospitality, the meaning of death and sacrifice, the Eucharist as the place of inspiration and orientation, the importance of saying grace, and the possibility of eating in heaven. Throughout, eating is presented as a way of enacting fidelity between persons, between people and fellow creatures, and between people and Earth. Food and Faith demonstrates that eating is of profound economic, moral, and spiritual significance. Revised throughout, this edition includes a new introduction and two chapters, as well as updated bibliography. The additions add significantly to the core idea of creaturely membership and hospitality through discussion of the microbiome revolution in science, and the daunting challenge of the Anthropocene.